Social Entrepreneurs Ireland (SEI) are launching their nationwide search for people with innovative ideas and new solutions to solve some of Ireland’s biggest social and environmental problems. 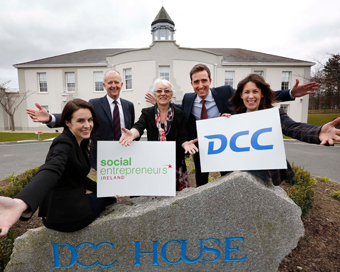 To date, Social Entrepreneurs Ireland has supported 179 social entrepreneurs, investing more than €5.8 million in direct funding to projects in areas ranging from community and active citizenship, education and learning, environment and sustainability, and mental and physical health. This year, Social Entrepreneurs Ireland is providing €600,000 in funding and support to nine social entrepreneurs and their projects. In addition, successful applicants will be provided with access to professional supports, mentoring and training. The Awards consist of two separate programmes of support; the Impact Programme and the Elevator Programme. Together these programmes cater for projects at various stages of development. The deadline for applications is Monday, 20th April at 11.59pm.